Monarch Mountain is an isolated ski area located high on the Continental Divide. We have no condos, base area development, or town infrastructure to assist with operating the ski area. While our isolation on the backbone of North America makes our setting great, it can be challenging at times in designing and maintaining our infrastructure. Our power supply comes from an Xcel distribution line from Poncha Springs that terminates up at Monarch Crest, our water supply is from a natural well at the ski area and held in two underground storage tanks, we run our own wastewater treatment plant, and our internet is beamed in by Colorado Central Telecom via a fixed wireless internet system. 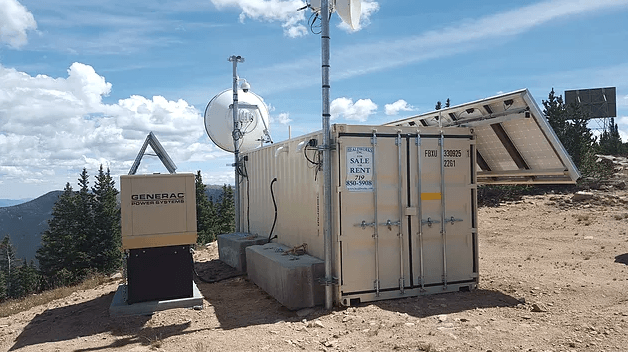 This internet service is provided via a series of towers and communication dishes that relay into the ski area. 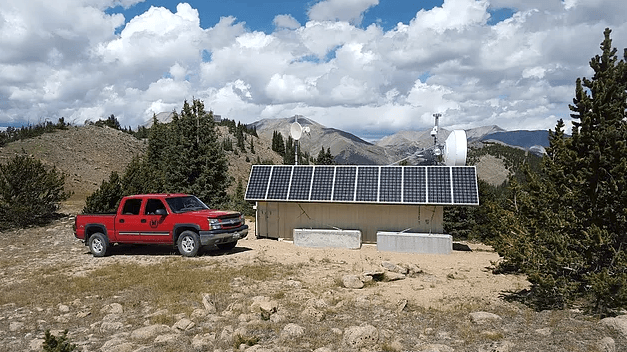 CCT has a growing network of more than 15 towers and repeater sites in Chaffee County. In order to connect with this system, we needed a direct line of sight to one of their towers. Initially, this was a challenge to figure out how to relay from one of these towers into the ski area. Finally, we located an area on private land high up on Monarch Ridge above the Madonna Mine that could work. Monarch Ridge runs north from the top of Monarch Pass and is located right across the highway from the ski area. 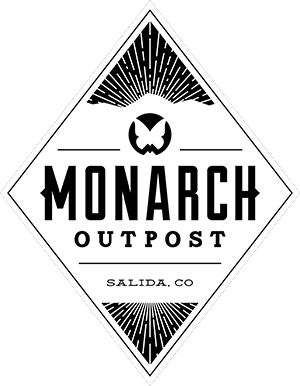 Monarch collaborated with CCT in 2013 to create a new station here. 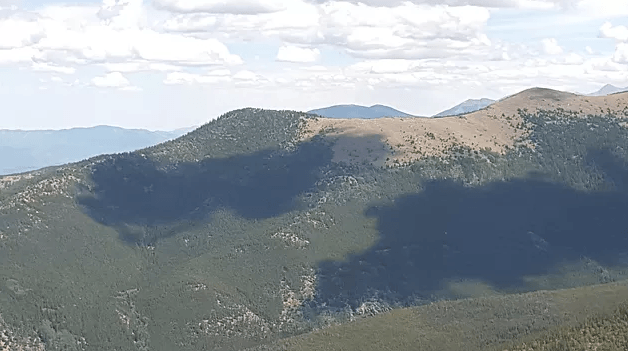 This location is able to relay a signal from above Salida on Methodist Mountain into the ski area. The station utilizes a combination of solar panels, a wind turbine, and a backup gas generator to power the system. 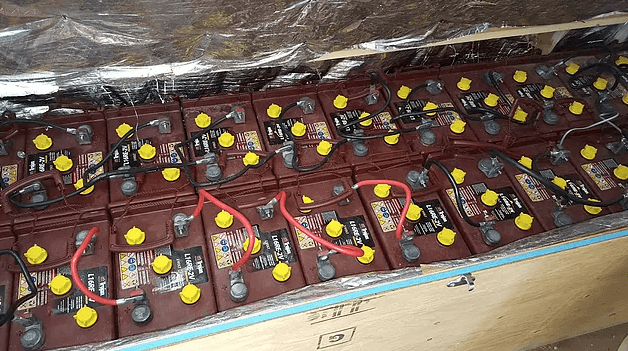 Inside the container is a battery stack that contains stored energy that the renewable energy sources create. Additional communication software and backup materials are located within this structure as well. 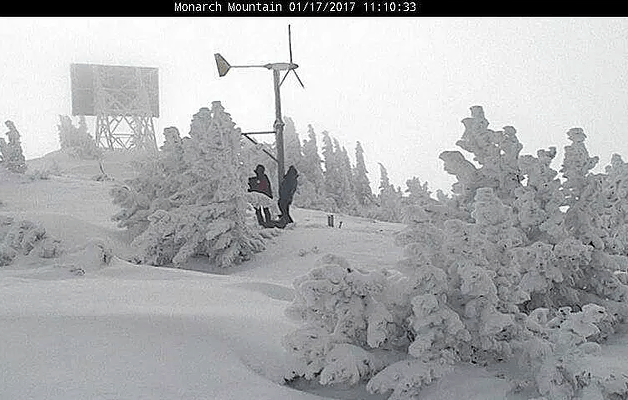 While this system works quite well to provide the necessary bandwidth we require to operate the ski area, having any type of infrastructure at high elevation brings situations where we have to contend with Mother Nature. The panels occasionally ice over or are unable to generate power on stormy days, the turbine blades were broken during an extreme wind event, and the station has taken a direct hit by lightning. While all these things add to the challenge of operating a business high in the Rocky Mountains, we wouldn’t want to change our location for anything. The benefits of high elevation, cold temperatures, and great snow on the Continental Divide make it all worthwhile. So, enjoy the snow…and the Wi-Fi!